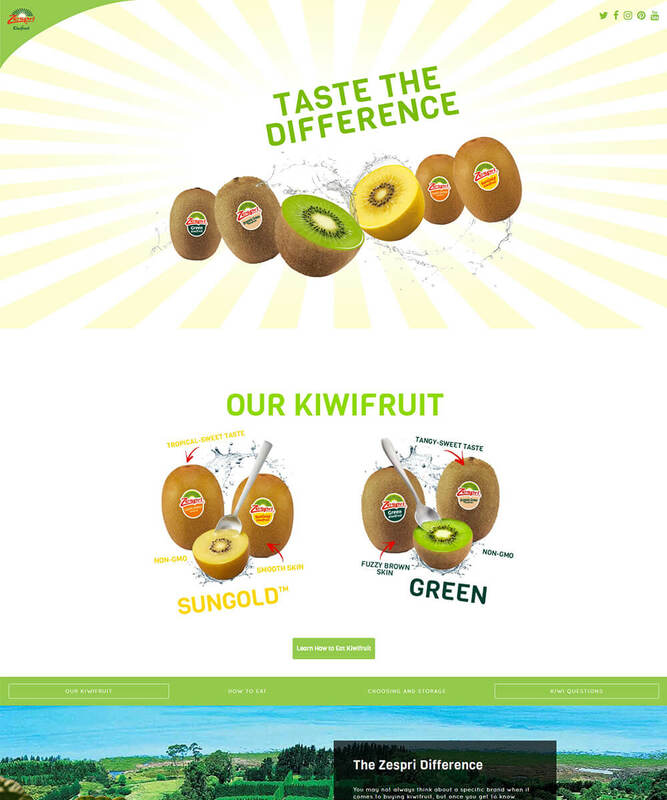 For Zespri Kiwifruit, it was time for a digital refresh. 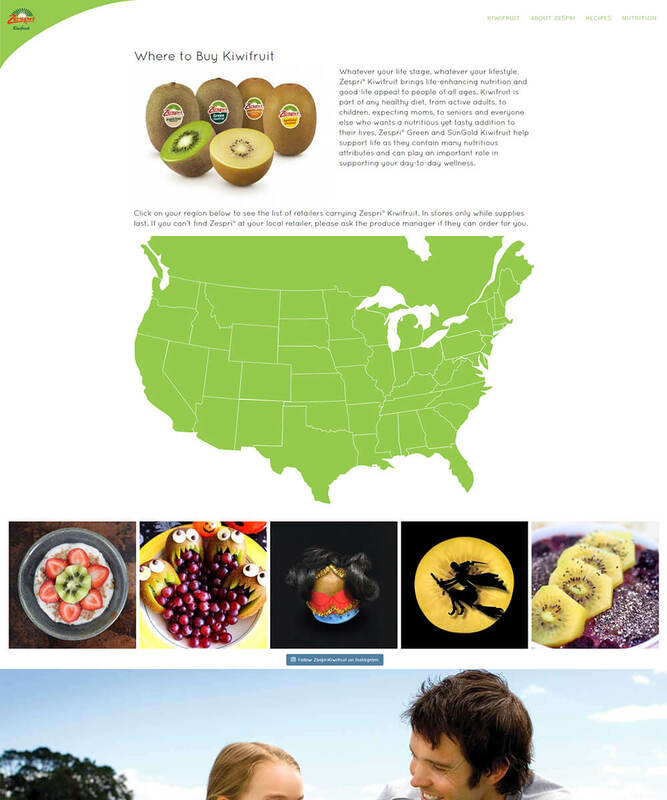 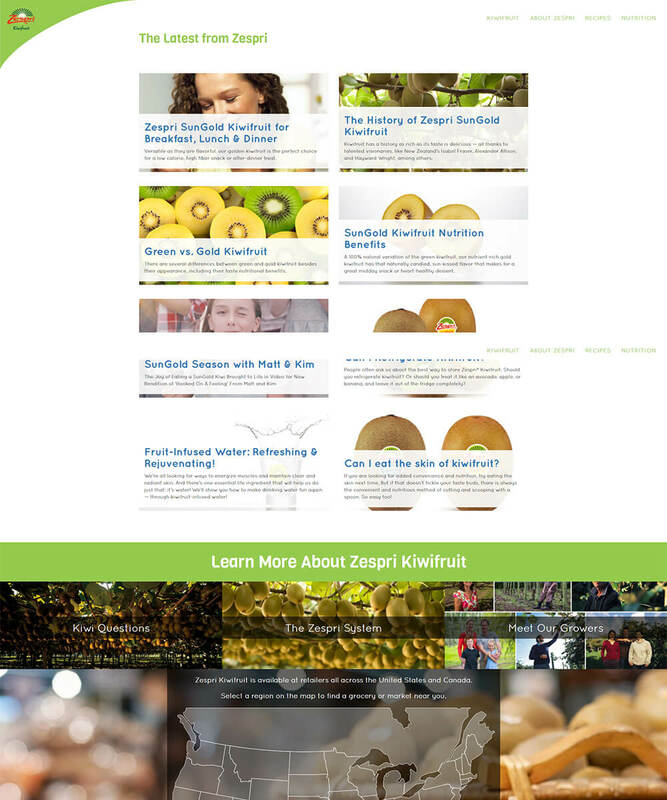 Zespri KiwiFruit needed a new site that showed off its product, especially to those who may not have experience with kiwifruit. 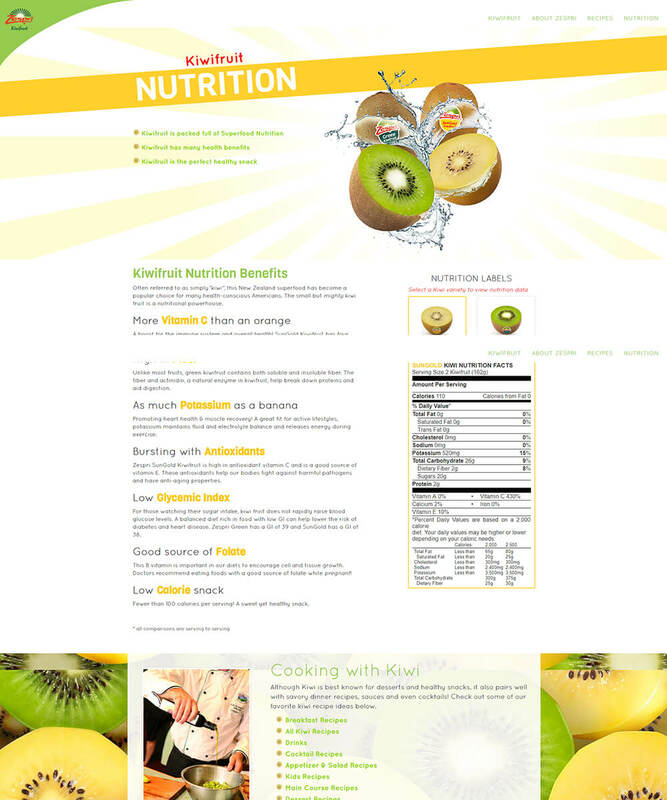 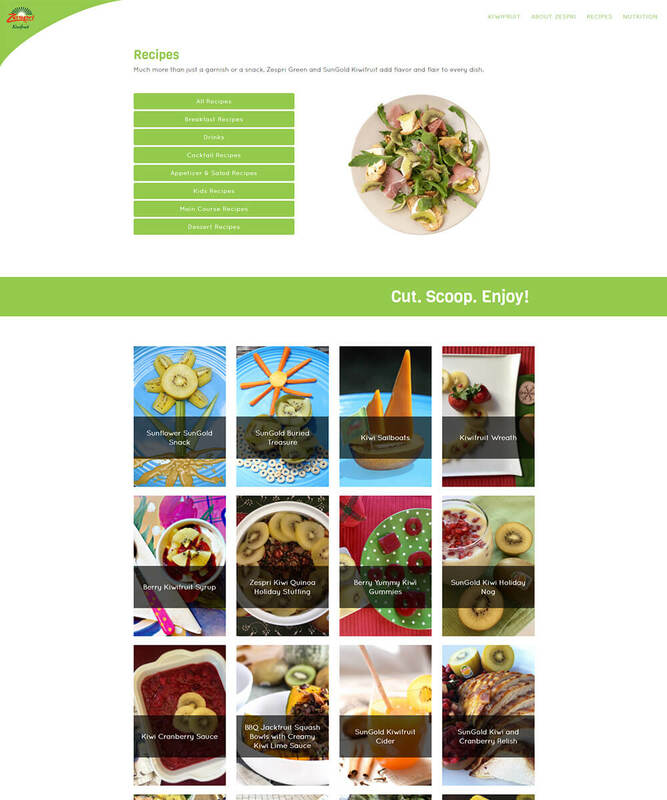 After initially providing an in-depth SEO analysis of their old site as well as sites from their competitors, Ayokay custom developed a unique, engaging web design with a fun and exploratory user experience, just like Zespri!